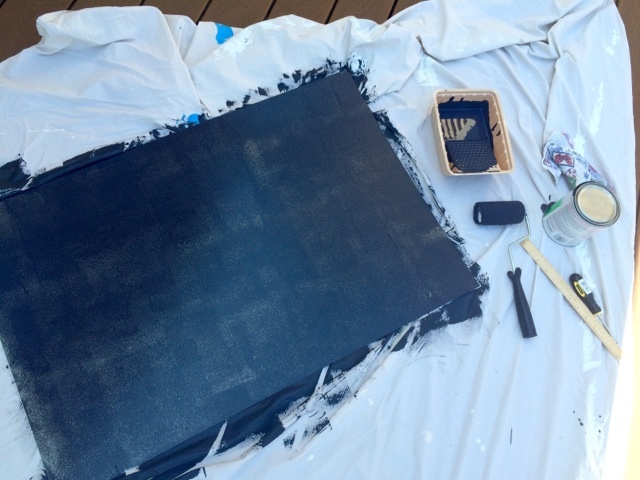 - Chalkboard Paint. 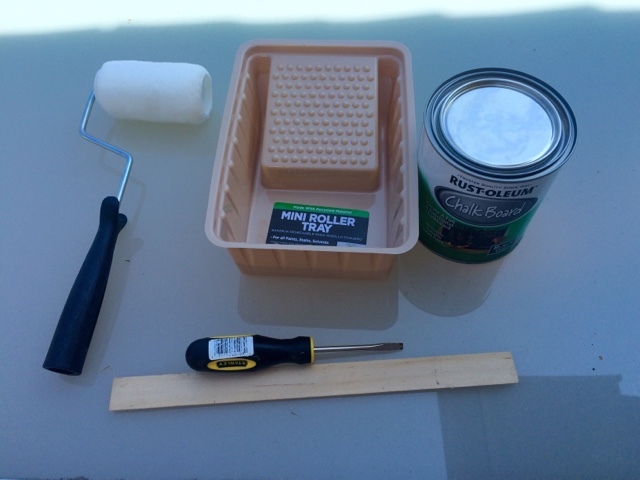 Because the magnets will work great against the metal you don't need a magnetic primer. 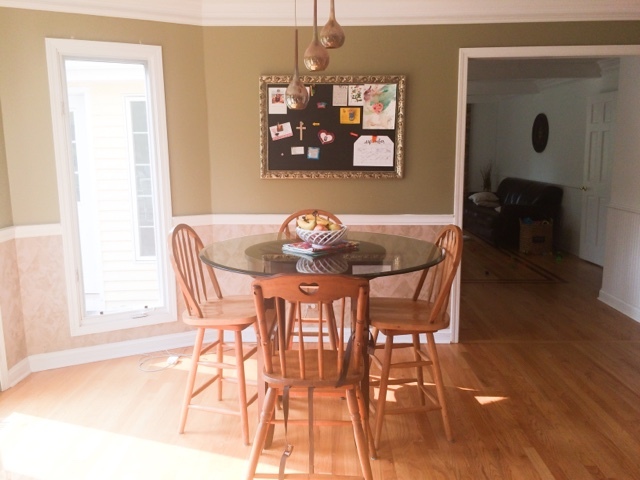 Chalkboard paint can be found right in the paint section at Home Depot or Lowes. - Roller/pan. I used the small one, any size will really do. Just don't use a paintbrush. The roller allows for the most even-tone coverage. - Optional wood backing. If you buy a backless frame like I did you might want to get some additional wood backing for more support. You can put the painted sheet metal in without it, but the guys at Home Depot helped cut me down an additional thin wood backing to provide a little more support/baking, which I am really happy with. 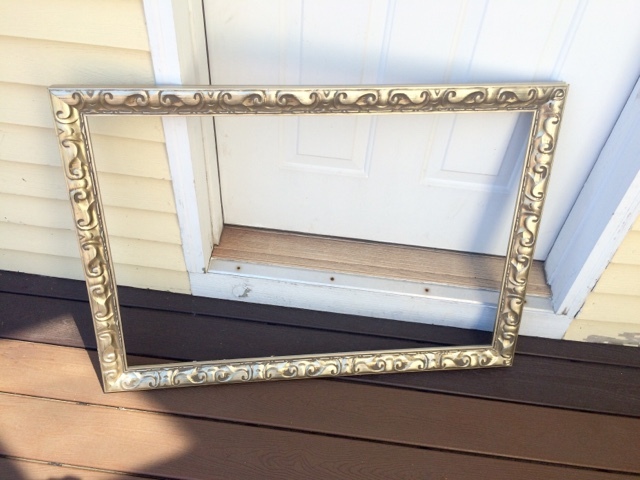 If you buy a frame that already had a backing you can use that. 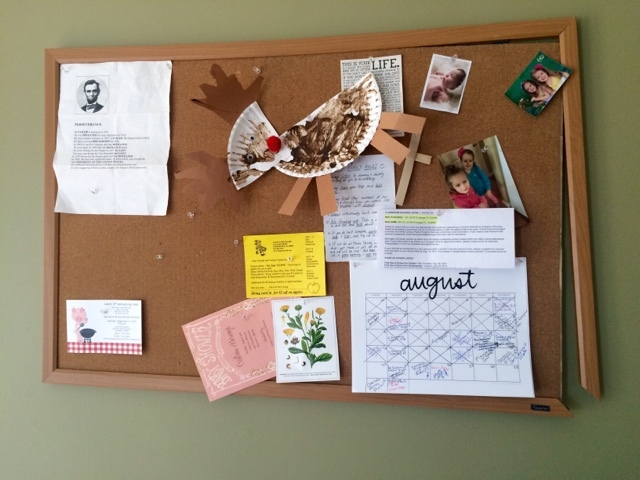 You will also need Bracket clips or nails to nail in the backing. - Mount. Any mounting hardware will work. 1. 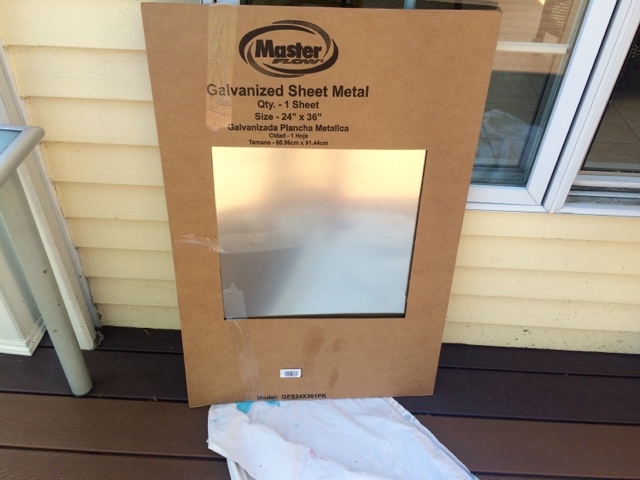 Paint your sheet metal. Wait for each coat to dry completely before painting another coat. I did a total of 4-5 coats. This picture above is what it looked like after the first coat- even after the second it will still have some metal showing through, make sure you let dry completely before you start your next coat and do a good 4-5 coats. 2. Cut down sheet metal to size (can have them do this for you at Home Depot), and insert into frame. 3. 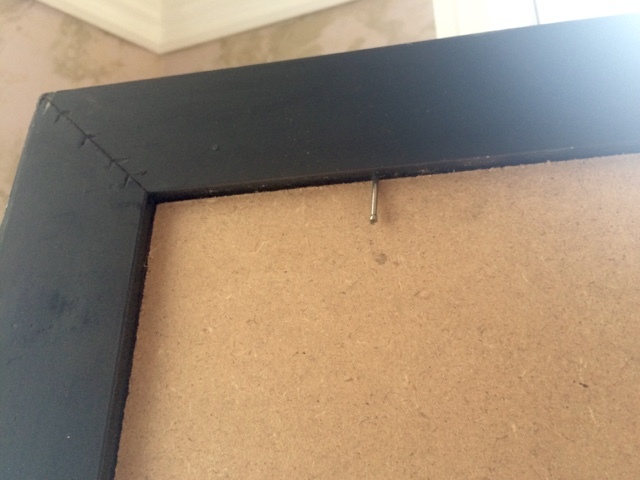 If using a backless frame, cut down wood backing to size and nail in to secure into frame. 4. Hang mount according to package directions. 5. 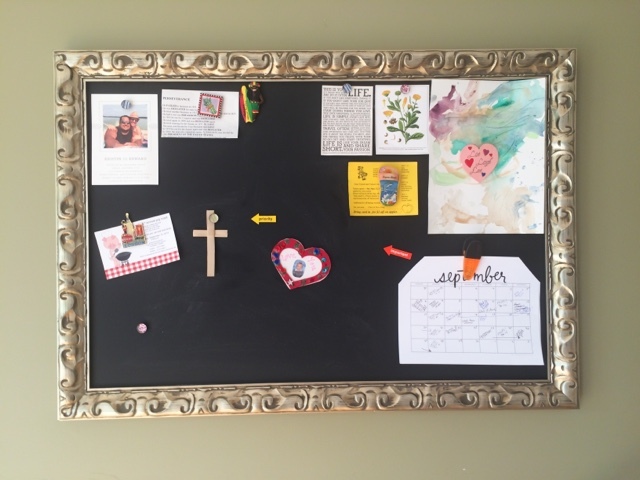 Hang up your new magnetic chalkboard and de-clutter your life and get organized for the school year! Love it! Hobby Lobby for the win!